100g Enjoy a cherry red washing! This hand-crafted soap efficiently cleanses your skin, surrounding you with the juicy cherry and sweet vanilla fragrance. 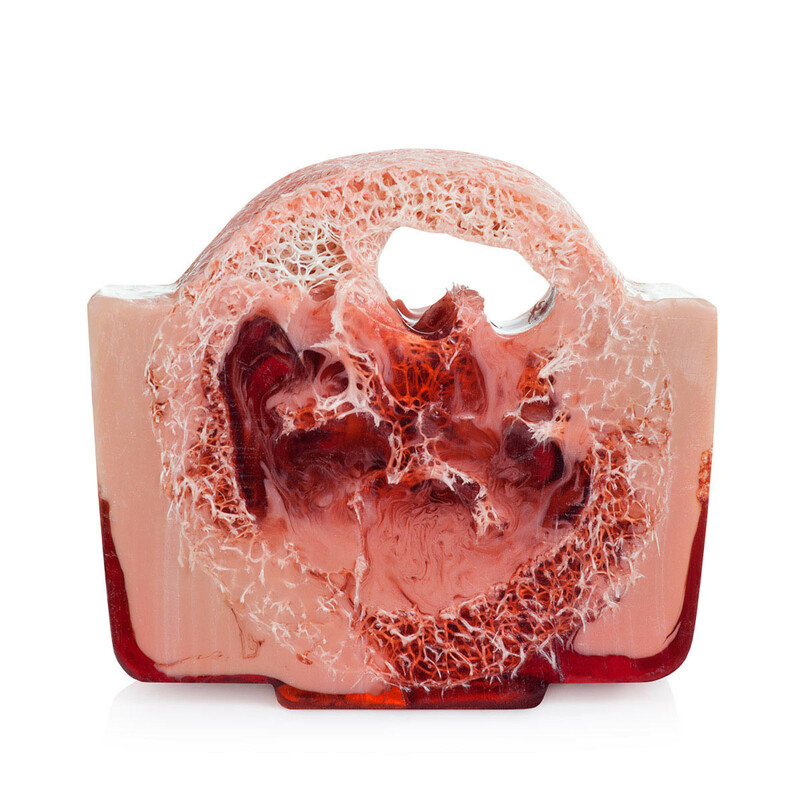 The natural loofah fibres intensify the cleansing properties of the soap, taking care of the softness of your skin. Aqua, Glycerine, Sodium Stearate, Propylene Glycol , Sorbitol, Sodium Laurate, Sodium Laureth Sulfate, Sodium Lauryl Sulfate, Parfum (Fragrance), Stearic Acid, Lauric Acid, Sodium Chloride, Pentasodium Pentetate, Tetrasodium Etidronate, Luffa Cylindrica (Loofah), Coumarin, CI 16255, CI 77891, CI 19140, Caramel. With our soap, you can yield to various sensations both in bath and shower, as well as wash your hands daily. To make your skin irresistibly gentle, moisturise or nourish it with products from our garden of feelings after washing. Take care of your skin with cranberry hand cream. As well, enjoy refreshing bath moments with our strawberry bath bubble-ball.